Should Today’s Job Seekers Be Using Cover Letters? Communication for job seekers has changed. For most job opportunities, all communication is electronic, and you are either e-mailing the hiring manager or directly applying on line. There is little opportunity for original communication. Job seekers unfortunately often respond poorly to the changing communications atmosphere. Most job seekers have acquiesced in this area, and rarely even seek to differentiate themselves. They merely send off a resume, with little or no accompanying narrative. 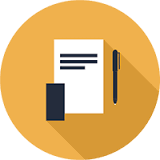 At the opposite end of the spectrum, some job seekers, especially those who are working with career counseling firms, overdo the cover letter, basically repeating their resume generically without saying much that is new or specific. What most job seekers do wrong is threefold: They fail to recognize the opportunity to differentiate themselves, they fail to address the specifics of the job they seek, and/or they overdo the fluff. It is very important to first recognize that in an active job hunt, most of your efforts (at the executive/management level) should be proactive. Answering ads, applying for posted jobs, should only equal 20-30% of your job effort. 15% should be with executive search firms who work in your sector. The other 55-65% of your job search should be focused on networking, to find opportunities that aren’t necessarily on the market. This is the so-called “hidden job market” – you create it for yourself. When an executive job seeker learns about a possible job opportunity, a cover letter can be very valuable. It enables you to differentiate yourself in the context of the needs of the employer. This goes way beyond what your resume says, and provides a compelling reason why the employer should consider you. A good cover is less than 200 words. It is essentially a written “elevator pitch” that the reader can absorb in about 30 seconds. It takes up less than a half page. A middle sentence that tells them specifically how you will apply your skills in their situation. Three more bullets that provide evidence. Example: Build sales organization from the ground up, including international expansion. Closing sentence that is a call to action – you look forward to talking further; you will be in touch. If you are an active job seeker, feel free to e-mail us for a copy of our sample cover letter, and use this opportunity to show the employer why you are unique, special, different, and better than the other people they might consider. A good cover letter can elevate you to the top of the stack. If you are networking, there may be no “stack” – and your cover letter gets you in the door by creating a compelling case for the employer to want to see you.